Article publié le Tuesday 28 September 2010. Does hearing allow language (langue) learning or rather speech identification? Methods. Is it possible to obtain the same results using totally different methods? There is just one way to learn: the “natural” one. Profound deaf individuals can “naturally” learn language (langue): theories and practice. A book that allows us to “understand” deafness, a book that doesn’t talk about deafness but about deaf individuals. 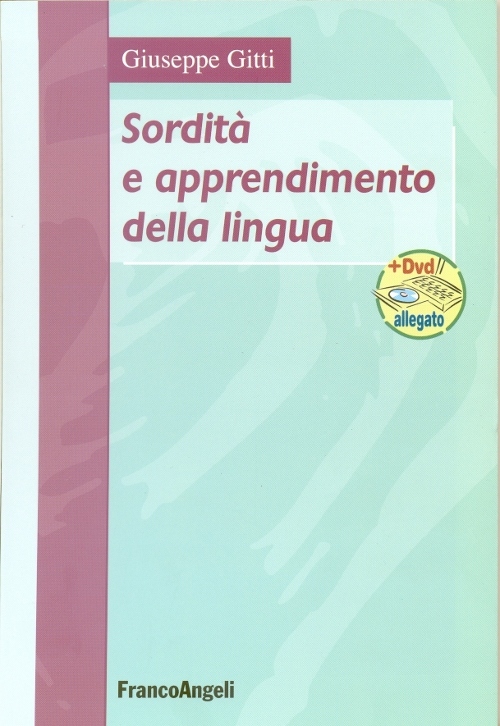 A DVD that “reveals” deafness and makes the reader understand that comprehension strategies are -on a quality level- exactly the same in both hearing and deaf individuals . An “uncomfortable” book that shakes many alleged “dogmas” -both at theoretical and practical level-. It strongly pushes into wondering about prosthetic and rehabilitative procedures. Considering the possibility to understand and talk “without hearing”, all the people working at a theoretical and practical level on language, rehabilitation education and connections between brain and language must take a serious reflection. A book that enhances parent’s role and the importance of the work of all the professionals involved (speech-therapists, audiologists, neuropsychiatrists, teachers, psychologists, linguists, educators, neurolinguists, social workers). A useful book for all the administrators in order to rationally arrange services and welfares.